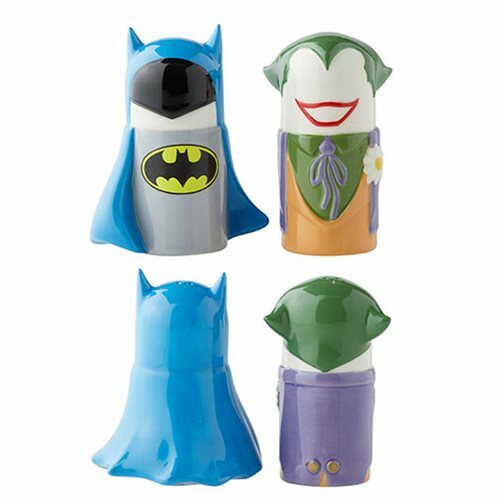 It's the Caped Crusader and the Clown Prince of Crime, at it again in this cute and colorful DC Comics Batman vs. Joker Stylized Salt and Pepper Shaker Set. They measure about 3 9/10-inches tall and are made of stoneware. Hand wash only. Not dishwasher safe. Do not microwave.